Now that you have taken compulsory basic training (CBT) and have successfully passed the motorcycle theory test, the next stage is the motorcycle module 1 and module 2 test. The last thing you need is for your test, or tests if you taking them on the same day, to be cancelled by the Driver and Vehicle Standards Agency (DVSA) due to unsuitable clothing. During CBT element A, you will have discussed legal requirements on protective equipment and suitable clothing to wear whilst riding. If you do arrive at the test centre wearing inappropriate clothing, time permitting, your examiner will give you the chance to find suitable clothing before your test goes ahead. If you are unable to source suitable clothing, it’s likely the DVSA will cancel your test. The DVSA will not refund the test fee, they will not pay out-of-pocket expenses and you’ll need to book another test. 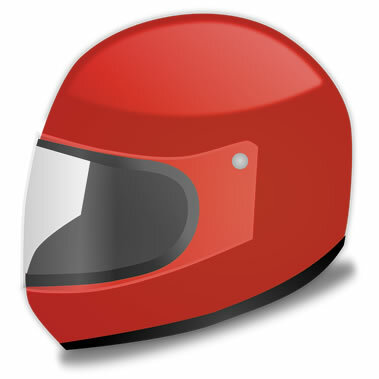 Regardless of the type of clothing you choose to wear, it is a legal requirement that all riding test candidates wear safety helmets that must conform to BSI or EU safety standards, that are correctly fastened along with suitable eye protection. The only exception to wearing a safety helmet is for members of the Sikh religion wearing a turban.